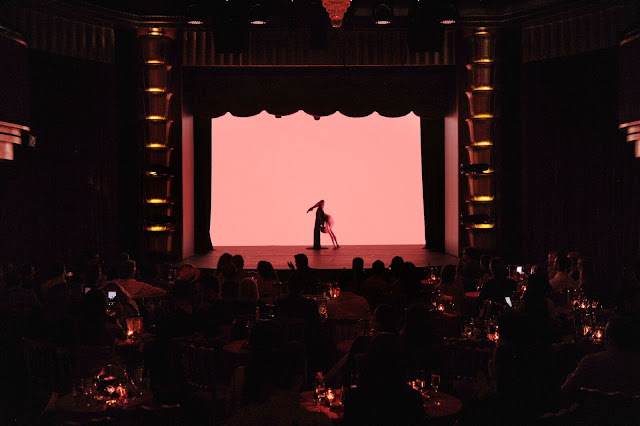 I'm going to deviate from my normal programming here to tell you about a fantastic new show that recently made its debut in the intimate 150 seat Faena Theater located inside the impressive Faena Hotel. No, they do not serve food at C'est Rouge! hence the departure but you can certainly grab a great meal before the show at two of the best restaurants in town, Pao and Los Fuegos by Francis Mallman. Pao apparently is offering a three course pre theater dinner menu but I'm not sure of the price. I'm trying to confirm that now and will update the post. I recently wrote about both restaurants which you can read about HERE if you weren't paying attention last week. As I watched the show last week I wondered why it took this long for someone to bring a Vegas style show to Miami Beach. Not all locals and tourists are Space and Liv age appropriate. Kudos to Alan Faena for bringing something new to Miami and to Blanca Li for directing and choreographing a unique and entertaining show that I highly enjoyed. It truly is a "fantasyland of beauty, mystery and desire." For my stylish followers, Alan and Blanca sourced Juan Gatti for costumes, Fifi Chachnil for lingerie, Oribe for hair, Erik Halley for costume accessories and Christian Louboutin for footwear. Be ready to be entertained up close. She clearly doesn't have my eating habits. One of many impressive acts. View from the "cheap" seats. 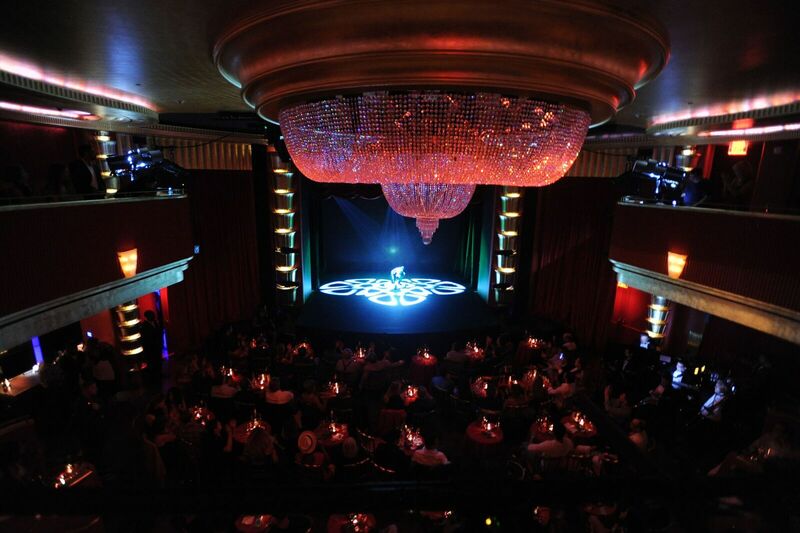 The show currently starts at 9:30 on Friday and Saturday nights with doors opening at 9:00 pm. But may be changing to 10:30 and 10. Tickets start at $45.00 and are available via Ticketmaster. 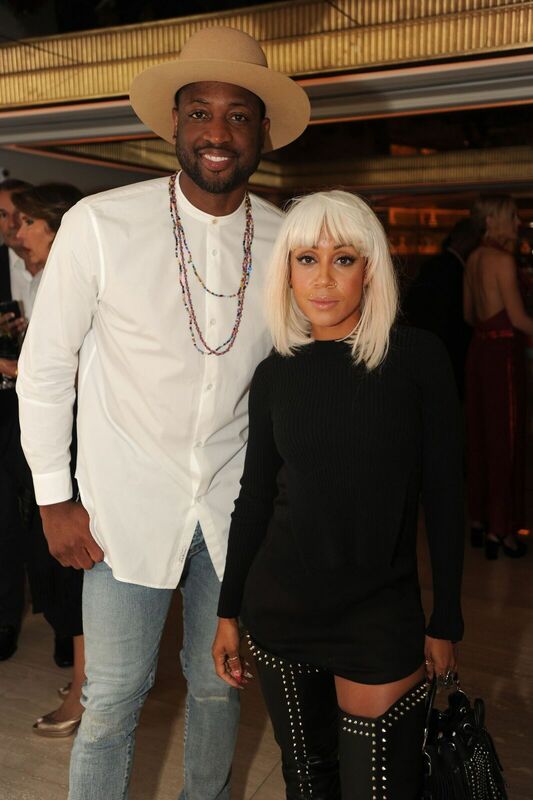 D Wade in the house with his stylist Calyann Barnett. Of course, I had to leave you with my pre show dinner shots. This blurry dish was fantastic. 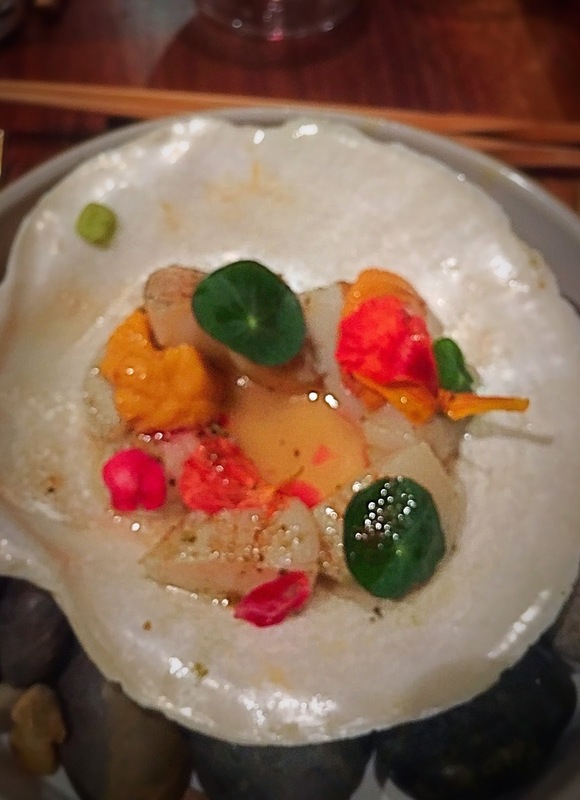 Scallop and Uni - Maine diver scallop tataki, uni, yuzu kosho, brown butter, nasturtium. Yet another great dish, Sepia- robata grilled Spanish Cuttlefish, ink adobo, jasmine soubise, tomatillo, pickled pearl onion. Go check out the show, go check out both restaurants and go check out Saxony Bar. Enjoy!